Our leaders are committed to driving our customers to the most accurate and context-rich data possible. We're always ready to help people find a solution that enhances their marketing efforts, whether that's providing raw data or appending data with world-class research. Mike leads datadecisionsGroup as our CEO. His vision is data-driven marketing based on the voice of the consumer. 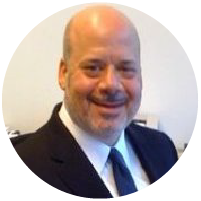 Before DDG, Mike has been the CEO of Yankelovich and Knowledgebase Marketing. His training years included stays at Texas Instruments and Equifax. 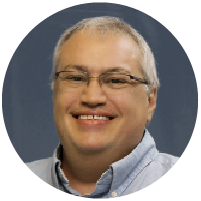 Over time, he has been on the client side of mail order for consumer electronics, lead generation for life and health insurance, as well as data and analytics for multiple industries. He holds an MBA from the University of South Dakota and a BS from the University of Texas, Austin. Mike’s passion today is his five grandchildren. Dino serves as President of Market Research and Analytics. Dino seeks the answers to questions and predictions of consumer behavior. Previously, Dino served as Chief Science Officer at FGI Research and Analytics. He is our version of Curious George — constantly seeking a different perspective on business opportunities. He leads the charge for new product design and needs-based segmentation. If you can write an algorithm for it, Dino will become engaged. Dino spent almost a decade at Arbitron/Nielsen in his formative years. He holds a BA from Kent State and an MS from Northwestern. Dino seems to have a passion for all numeric expressions. David is EVP of Business Development and serves as our resident data savant. If consumer data exists that can address a specific need, he is aware of the source, coverage, and accuracy for that data point. David previously served as SVP of Sales at Web Decisions Group and Knowledgebase Marketing (where he started his career). His area of expertise is Healthcare and Insurance. David is our customer champion, constantly pushing for us to improve our service levels. His passions include collectible toys and the Grateful Dead. Bruno is President of Data Science with 15 years of experience in enterprise software coupled with deep expertise in predictive analytics and data mining. Prior to the Data Decisions Group merger, Bruno served as the CEO of Reach Analytics and Vice President of Sales-SAP( KXEN). Earlier in his career, Bruno managed the database marketing department and data mining technology of Urban Science in London. Bruno has earned an Executive MBA from HEC School of Management, a post-graduate degree (DEA) in Economics Methods from University EVE / ENSAE, and a Masters in Quantitative Methods from Paris IX Dauphine University. Bruno’ passion is his three explorer children, one who loves to build robots which occasionally pursue Bruno at high speed. Not sure where to go? Need more info about data lists and data research for your business or agency?